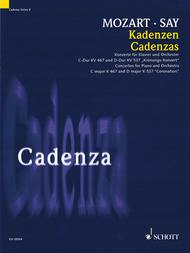 Cadenza Series, Vol. 8. Composed by Wolfgang Amadeus Mozart (1756-1791). Edited by Fazil Say. Sheet music. Piano. Classical. Softcover. 12 pages. Schott Music #ED20504. Published by Schott Music (HL.49017728). 9x12 inches. Cadenzas by Fazil Say. 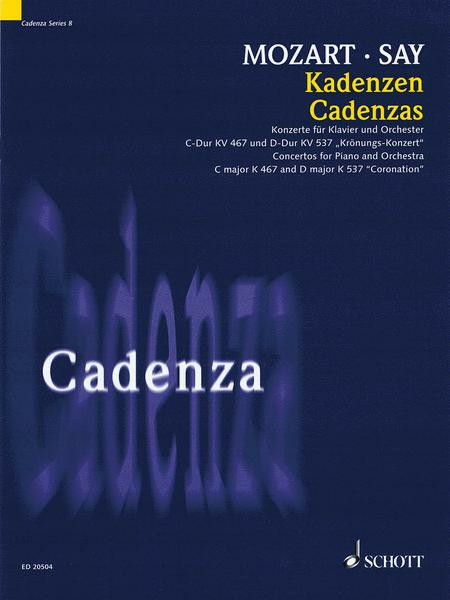 The Cadenza Series presents cadenzas of well-known instrumental concertos from the classical and romantic periods. Each cadenza was composed by an outstanding composer or soloist of our time. Turkish pianist and composer Fazil Say presents cadenzas of two of the most popular concertos by Mozart in this edition.